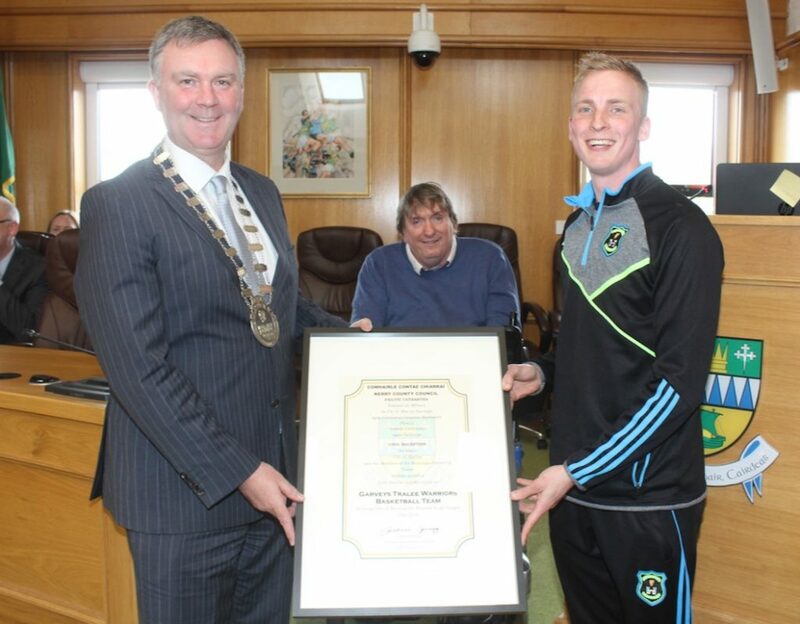 All involved with Garvey’s Tralee Warriors gathered at Council Chambers at Kerry County Council to honour a club which has taken basketball to new heights in this town. What the Warriors have done for Tralee in three years (and not just in sport) is nothing short of amazing. 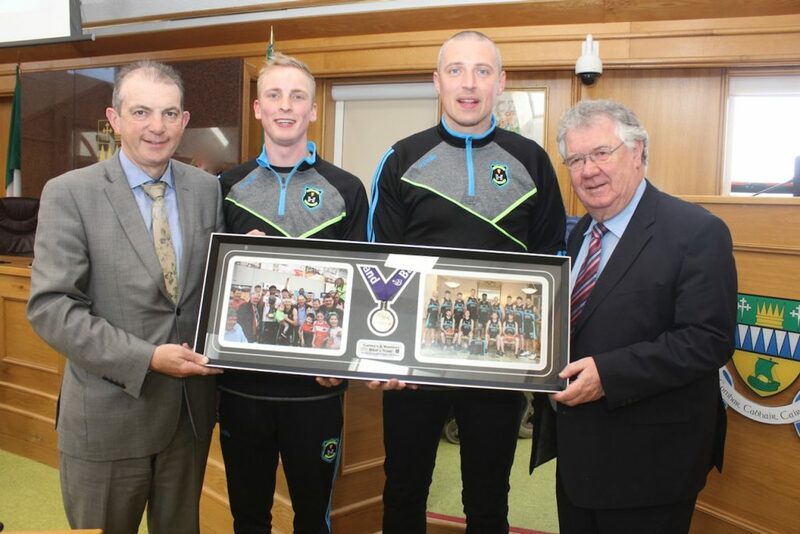 As Tralee Municipal District Manager, Michael Scannell, said at the civic reception on Friday evening, they have provided a sporting team that the whole town can get behind. The effect they have had on young people is extraordinary with Mayor Graham Spring explaining that Warriors fever had invaded his own household with his son shooting hoops all the time now. But Warriors have also instilled in young people, a pride in Tralee that will hopefully be nurtured over the coming years. Mayor Spring said he was delighted to host the reception which would be his last as Mayor since he is stepping down from the role soon. “You’ve had such a positive effect on the next generation, there’s a buzz around Tralee for basketball. When you won the Superleague, it was evening all enjoyed, a fantastic show put on by everybody involved. It was a rollercoaster ride throughout the season but your dreams came true in the end,” he said. Cllr Terry O’Brien, who is Chairman of the club, said when out canvassing for the local elections he was astounded by the amount of basketball rings in the gardens of houses in estates. 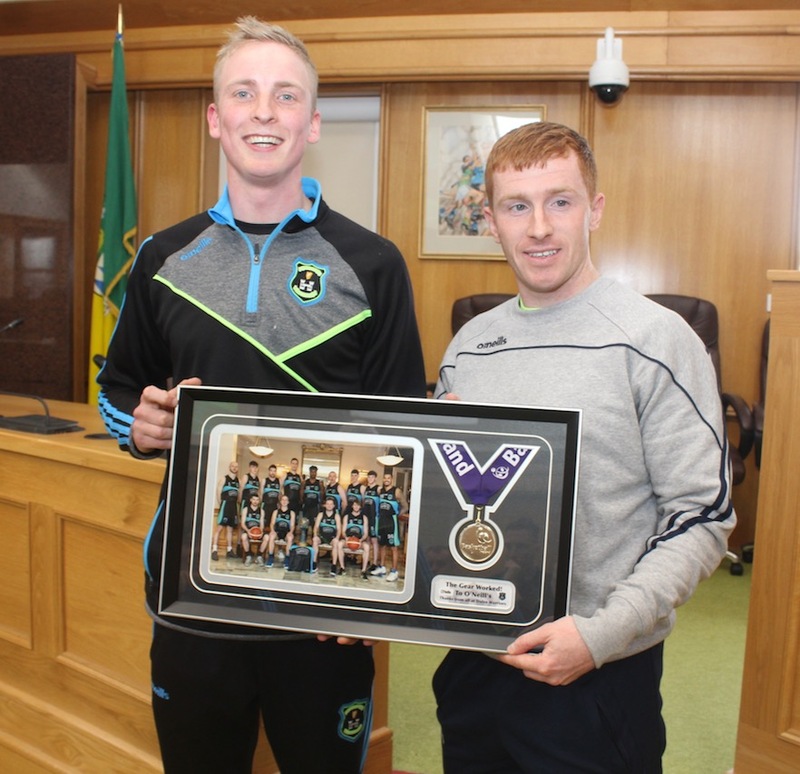 Cllr O’Brien said he was thrilled that Warriors were honoured with the civic reception. He said it was a phenomenal team effort to win the Men’s Superleague title and that he was so proud of everyone — the team, coaching staff, volunteers and sponsors — who made it possible. He said the fans are the best in the country, something that has been acknowledged by every other club and have become the sixth man on the court over the past three seasons. Team captain Darren O’Sullivan thanked all who have helped out over the years to ensure the side’s success and emphasised the bond that exists in the team.